Korea, having a 2+2 Meeting with Australia? On July 3-4, 2013, Korea and Australia held the inaugural Foreign and Defence Ministers’ Meeting (hereafter 2+2) in Seoul. In addition to Korea’s 2+2 meeting with the United States, which has been held biennially since 2010, the meeting marks Korea’s second such dialogue.1 Whereas the 2+2 with the United States understandably receives more attention and acceptance given its weight in Korea’s security matters, the Korea-Australia 2+2 meeting raises many questions. Why Australia? Is Australia such a crucial partner for Korea’s foreign, security and defence interests to warrant holding a 2+2 meeting? What would be discussed in the meet- ing? Ordinary Koreans would not put Australia high on a list of potential security partners, at least for now. The meeting, unlike the Korea-United States 2+2 meet- ing, is not about imminent and pending issues between the two countries. It is more about middle power diplomacy (MPD)—how to better coordinate and coop- erate on foreign and defence policies between the two “pivotal middle powers” for the sake of their national and regional interests. Therefore, the Korea-Australia 2+2 meeting is futuristic in nature. What’s Been Discussed and What Are the Implications for the Region? The ministers in the Korea-Australia 2+2 meeting expressed their consensus on the future direction of cooperation in the meeting’s “Joint Statement.” The statement starts with a strong emphasis on a broad-based strategic partnership and economic- security cooperation between the two countries. The ministers also reached con- sensus on their views regarding the North Korea issue. The statement unequivo- cally urges North Korea to fully comply with its international obligations, particu- larly its duties related to its nuclear program. The statement also demands that North Korea take proper measures to improve human rights by directly mention- ing “the recent forced repatriation of nine children” from Laos via China. The ministers also expressed their support for setting up the United Nations Commis- sion of Inquiry into human rights abuses in the North. Beyond the Korean Peninsula, Australian Foreign Minister, Bob Carr, and Defence Minister, Stephen Smith, voiced their support for Korea’s “Trust-Building Process on the Korean Peninsula” and “Initiative on the Northeast Asia Peace and Coop- eration.” In addition, the statement also touches upon some new aspects of secu- rity issues and ways to deal with them, which require better global and regional coordination among countries. The four ministers agreed to cooperate with each other on cybersecurity—a new security issue—and on other existing security threats as well. The statement also mentions that the ministers agreed to “acknowledge the important contribution of the annual Seoul Defence Dialogue for senior regional Defence officials and also welcome the Australia-hosted 1.5 Track North East Asia Security and Defence Forum in 2013.” These efforts made by the two countries deserve praise in that they made opportunity and official space for senior defence officials and academics from around Northeast Asia, Australia, and the United States to gather together. However, the 2+2 meeting does not seem to have drawn much attention from regional countries. Nevertheless, that Korea and Australia, two regional middle powers and allies of the United States, held a foreign-defence ministers meeting that will have some strategic ramifications for the region. As far as the United States is concerned, the 2+2 is good news. At least, it would not do any harm to US strategy in the Asia- Pacific. In a sense, the Korea-Australia 2+2 is a completion of a missing link in the region. The United States already has a 2+2 with Australia and Korea separately. With the Korea-Australia 2+2, the Australia-US, US-Korea and Korea-Australia 2+2 linkages are now complete. These linkages among the three countries will be a strategic asset in the US pivot to Asia. As far as US strategic interests are concerned, it would have been better if there had been a “2+2+2”—where the foreign and defence ministers of the three countries could get together. This kind of linkage could have shown, in a sense, that the US pivot to Asia had significant regional support and had the potential to encircle China if necessary. Instead, the three 2+2 meetings are a good alternative from the US perspective. While it does not immediately raise eyebrows in China, it still has the potential to consolidate strategic cooperation among the three allies. The Korea-Australia 2+2 is something to watch closely as far as China is concerned. Both Korea and Australia are pivotal countries in the region. The two countries are strategically located in the regional geopolitical scene and both are US allies, with significant economic power. Korea is geographically a neighbour of China. Indi- vidually, Korea already has deep economic relations with China. Australia is impor- tant for China as a source of commodities. China has every reason to foster friendly relations with the two middle powers to outwit the US pivot to Asia. It is in China’s interest not to make the two countries inimical to China, at the least. In the worst case, it would be a serious strategic setback for China if the two middle powers were to team up with the United States. If this is the case, it does not just mean that China loses the two countries. The development would affect other regional countries to review their strategic posture in the US-China rivalry in Asia. When the rise of China and the US pivot to Asia met in the Asia-Pacific, it created a strategic competition between the two superpowers. The competition is basically a race to expand their own strategic spaces in the Asia-Pacific. If the race deepens, it narrows spaces for other regional countries and eventually there will be no space left for other regional countries to manoeuvre, which means that those countries are now forced to choose between the United States and China. Small and medium countries in the region, not to be engulfed by the strategic expansions of the two superpowers, have to maintain and expand, if possible, their own autonomous strategic spaces. Given the overwhelming power of the United States and China, a single country’s effort to preserve its autonomy will be a daunting job. Joint actions and endeavours by a group of middle powers, however, have a better chance to secure their strategic space. It is better if the effort by the middle powers is backed up by smaller powers or by other middle powers such as ASEAN in the Asia-Pacific context. Closer 2+2 cooperation between Korea and Australia has the potential to maintain and expand regional small and medium countries’ autono- mous space. The Korea-Australia 2+2 meeting has some strategic implications for Japan as well. Japan has long been a lynchpin of the US strategic posture in the Asia-Pacific. Recently, however, Japan’s position is being eroded by other regional powers like Australia and Korea. Japan’s economic hardship is salt in the wound. In addition, Japan is strategically hard-pressed by China because of maritime territorial disputes and of its strong nationalist foreign policy under Prime Minister Abe. Japan is working hard to secure its position in the regional strategic scene. One such effort has been a series of meetings among defence ministers of Japan, Australia, and the United States on the side of the Shangri-La Dialogue in Singapore. In addition, Japan has 2+2 meetings with the United States and Australia. The Korea-Australia 2+2, and thereby the indirect linkage of 2+2 dialogues among Korea, Australia, and the United States, is a blow to Japan’s recent attempts to shore up its position. ASEAN countries’ strategic interests in the Asia-Pacific might also be affected by the Korea-Australia 2+2 meeting if it develops further in the future. ASEAN has been punching above its weight strategically in the region thanks to the power of numbers—the collective power of 10 ASEAN countries. This power has enabled ASEAN to get regional countries, including superpowers such as China and the United States to respect ASEAN’s voice despite the fact that ASEAN countries individually are rather weak. This structure, often called ASEAN centrality, is only sustainable when regional countries orbiting around ASEAN are in competition or at least are divided. This is exactly why ASEAN was alert when three Northeast Asian neighbours—Korea, China and Japan—launched trilateral cooperation. In a similar vein, it would make a crack in the ASEAN centrality strategy if regional pivotal powers reach a strategic consensus to have their own bilateral or minilateral frameworks without ASEAN. The Korea-Australia 2+2 meeting could potentially be interpreted as the beginning of a crack in the ASEAN centrality structure in the Asia-Pacific. Korea and Australia should make the 2+2 meeting a launch pad for genuine middle power cooperation. In many ways, Australia is an ideal middle power cooperation partner. The two countries have substantial economic power with similar eco- nomic sizes2 while the economic structures are mutually complementary.3 Korea is Australia’s 4th largest trading partner and its 3rd largest export market. Korea im- ports lots of commodities from Australia while Australia imports manufacturing and consumer goods from Korea (refer to Table 1). As G20 members, both Korea and Australia are active actors and have a significant say in regional and global economic and trade matters. Second, the two countries, being strong allies of the United States for the past few decades, have particular strategic meaning in the Asia-Pacific, especially after the US pivot to Asia. This is an incentive for bilateral strategic and military coopera- tion to cope with common threats or challenges. Third, both Australia and Korea enjoy stable democratic politics, which is an exception rather than a norm in this region. The two countries have a common interest in promoting democracy and good governance in the region. Fourth, the two countries have experience cooper- ating in many regional multilateral institutions such as the East Asia Summit (EAS), Asia-Pacific Economic Council (APEC), ASEAN Regional Forum (ARF), ASEAN Defence Ministers’ Meeting Plus (ADMM+) and so forth. In addition, Korea and Australia put their hands together in a KIA (Korea-Indonesia-Australia) minilateral cooperation dialogue in the previous government. Bilaterally, the two governments have been conducting both Track I and Track II strategic dialogues for a few years. More than anything else, middle power cooperation between Korea and Australia should focus on the provision of regional and global common goods on top of bilateral issues and interests. Among others, deepening regional multilateral coop- eration and fixing the deficit of institutionalisation of regional institutions would beachallengeforKoreaandAustraliatojointlytackle.8 Therearenumerousnon- traditional and human security challenges on which the two countries have exper- tise and common interests. Joint operation in humanitarian aid and disaster relief (HADR) would be a good item for cooperation. The Asia-Pacific region is exposed to massive and frequent natural disasters and maritime insecurity, including pir-acy.9 Lack of human and material capacity, and preparedness, however, has pre- vented swift responses to disasters, leaving many casualties and economic losses. Joint exercises and operations between Korea and Australia will not only help those in disaster-stricken areas, but also be an example for regional countries to learn from. accumulated know-how on climate change issues would bring about a substantial common good for the region if it is met with Korea’s emphasis on linking responses to climate change with economic growth. Cooperation between Korea and Austra- lia in the field of development cooperation is promising as well. Australia has been one of the major players in the development cooperation while Korea has substan- tially stepped up its official development assistance (ODA) commitment. The two countries can coordinate their ODA policies to increase aid effectiveness and cham- pion the issue of development cooperation in global multilateral economic institu- tions such as the G20. As mentioned earlier, the Korea-Australia 2+2 meeting would strengthen bilateral cooperation and enhance middle power diplomacy and regional cooperation. Fur- thermore, the deepening of strategic cooperation between Australia and Korea would make regional actors be more alert either in a positive way or negative way. This possibility, if managed well, would enhance the leverage or bargaining power of Korea in its relations with other regional players, i.e. the United States, China, Japan, and ASEAN. The pivotal middle power cooperation of Korea and Australia could be used as a bargaining chip in their negotiation with stronger counterparts. In a more positive way, the deepening of strategic cooperation between Korea and Australia would provide a third alternative beyond a simple dichotomy—either the United States or China. Some words of caution are needed at this point, however. As widely accepted, the strategic circumstance in this part of the world is highly volatile. Any initiative or move by one is easily misunderstood by competing powers. So much so, the Korea- Australia 2+2 meeting and any developments thereafter have a risk of being mis- understood by regional countries. Assuming that the 2+2 coordination further develops and consolidates, the United States may hail the development. The United States may think it as a completion of a strategic chain envisioned by the United States in the Asia-Pacific. different context, deeper bilateral cooperation up to a level of a strategic consensus between Korea and Australia would narrow the strategic manoeuvring space of Japan in the group of US allies in the Asia-Pacific. ASEAN countries may interpret the close cooperation as a variable that may weaken their centrality and the source of their bargaining leverage. In sum, despite the good will behind the 2+2 meeting, it has a high chance of being misinterpreted by regional countries. The Korea-Australia 2+2 and its further development, have to be careful not to send out wrong signals to regional countries. Being audacious in advancing the dialogue is different from being apathetic to the responses of other neighbouring countries. From the beginning, the 2+2 cooperation between Korea and Australia has to make it clear that their middle power cooperation is not to encircle or to outmanoeuvre anyone in the region, whether it is China, Japan or ASEAN. Par- ticularly, it is important to get the right balance between the United States and China given the fact that both Korea and Australia have huge economic and secu- rity stakes with both countries. From the beginning, the 2+2 has to put bilateral interests forward as the main goal of the meeting. More importantly, foreign policy and defence cooperation should be described as their joint effort to provide regional common goods. Concrete actions, of course, should follow this clarification. In addition, when the coopera- tion is further consolidated in the future, it should be transparent and flexible— open for other countries to join, especially in the field of security cooperation. For example, the 1.5 Track North East Asia Security and Defence Forum proposed in the 2+2 meeting in 2013 could be utilised to secure transparency and openness of Korea-Australia security cooperation by inviting most regional countries to the forum. Middle powers in the Asia-Pacific should be facilitators, mediators, and conveners rather than leaders. Depicting the middle power’s role in this region as such would be helpful to avoid any misunderstanding of Korea-Australia middle power coop- eration. Although this may sound simple and familiar, the middle power’s role has two hidden aspects. First, the facilitator, mediator, or convener role of Korea and Australia is not simply someone walking in the middle or mirroring opposing or competing views and positions. It has to have its own views, agenda, and visions for the region. Without this qualification, the role is simply that of a messenger rather than of a pivotal middle power. Second, middle powers in the Asia-Pacific actually have to lead others without being leaders. Leading superpowers in this region are not unable to lead. Strategic com- petition among superpowers and potential leaders prevents a country to be a leader, which makes regional cooperation in the Asia-Pacific different from that of Europe. While powerful countries such as France and Germany led regional integration in Europe, China or Japan—perhaps the Asia-Pacific equivalents of France and Ger- many—are unable to carry out such a role. Middle powers, therefore, can, on the one hand, persuade the superpowers and, on the other hand, lead smaller countries to pool their resources together for the region. rity functionally and on regional and inter-regional middle power networking. The Korea-Australia 2+2 meeting has to be the basis as well as an essential part of the Korean middle power diplomacy grand plan. At the same time, the meeting should be the starting point of drawing a middle power diplomacy grand plan. The expe- rience and know-how that the Korean government would gain from 2+2 meetings with Australia in the coming years will lead to bigger and more successful Korean middle power diplomacy. Both the Korean and Australian governments should not miss this golden opportunity and maintain the momentum. In contrast, Australia has 2+2 meetings with Japan and Indonesia, which were both held in 2012 for the first time. It has also had foreign and defence ministerial consultations with United States (AUSMIN), United Kingdom (AUKMIN), and Singapore (SAJMC) which can be seen as 3+3 meetings including Trade ministers. The two countries are similar in economic size. Australia’s gross domestic product (GDP) is US$1.3 trillion in 2011 while that of Korea is US$1.1 trillion in the same year. By GDP, Australia is ranked at 13th while Korea is 15th. See: The World Bank, World Databank,http://data.worldbank.org/indicator/NY.GDP.MKTP.CD. Department of Foreign Affairs and Trade, Australian Government, Trade Matters 2012 Australia – trading with the world, http://www.dfat.gov.au/tradematters/. Kevin Rudd, “Australia’s Foreign Policy Interests in the Middle East” (speech, Canberra, February 22, 2011), http://www.foreignminister.gov.au/speeches/2011/kr_sp_110222.html. The Australian Defence White Paper recognises, “The Republic of Korea is a significant middle power··with a growing range of interests in wider regional and global stability.” Commonwealth of Australia, Australian Defence White Paper 2013. Paul Keating, Engagement: Australia faces the Asia-Pacific (Sydney: Macmillan, 2011). Commonwealth of Australia, Australia in the Asian Century White Paper 2012, http://asiancentury.dpmc.gov.au/white-paper. ADMM+. There are various schemes for economic integration and of trade liberalisation, including APEC, EAFTA, CEPEA, RCEP, and TPP. For regional architecture, the region has ASEAN, ASEM, ASEAN+3, EAS, etc. None of them, however, progressed or performed convincingly. Most of them are characterised by soft institutionalism, which presumably explains the poor performance of regional multilateral institutions. After 2000, the region had a huge tsunami in the Indian Ocean (2004), cyclone Nargis that swept Myanmar (2007), and, more recently, unusually massive flood cases in many of Southeast Asian countries, notably the one in 2011, Thailand. 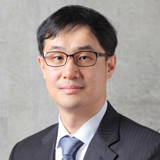 JOO Haeri is a Program Officer in the Centre for ASEAN and Oceania Studies at the Asan Institute for Policy Studies, Seoul. 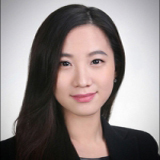 Her research interests are globalization in Southeast Asia, cultural exchanges, regional cooperation in Asia-Pacific region. She received B.A. in International Area Studies from Dongseo University, and M.A. in East Asian Studies from Duke University.